This how-to will guide you on installing OpenVAS (Open Vulnerability Assessment System) on CentOS 7. The OpenVAS application is free and open source vulnerability scanner and vulnerability management solution. With the significant Vulnerabilities that have come out recently it is a good idea to have a scanner that can detect vulnerabilities on the systems that you manage. Next we need to make some changes to the Redis configurations. You can use your favorite editor to change /etc/redis.conf In this example, we are using NANO. Once you have made the changes, you can save and exit. At the start of the install, it will prompt you with the following question. Click enter for rsync or choose wget or curl, rsync is the recommended choice. 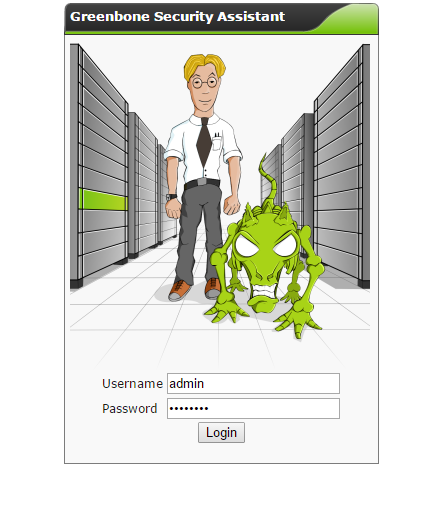 You can use admin as the default user or set your own, and then provide a secure password and verify it again. Now that OpenVAS is complete you can now test it by opening your browser and entering the URL https://your-server's-address:9392 You should get a page similar to the image below. In our example, we would put https://192.168.100.10:9392 into our browser’s address bar. 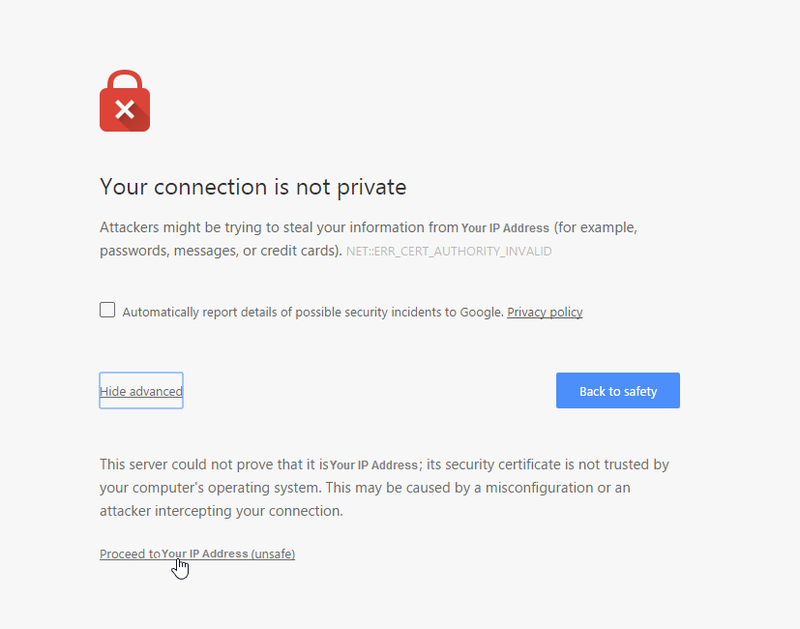 Since there is no SSL installed on the server, we are going to get a warning that the connection is not private. Proceed to the website and we should get a page similar to the one below. An example of the OpenVAS login page. Login with the credentials you set up during the openvas-setup and you should get a page similar to the one below. Follow the quick start guide to get started. Congratulations you now have OpenVAS vulnerability scanner installed on CentOS 7. 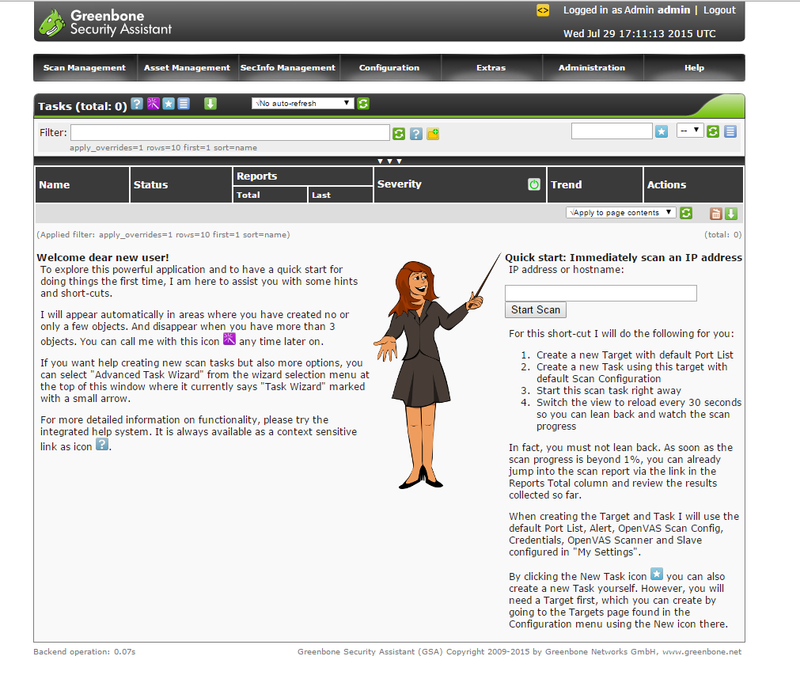 Use the quick start guide on the dashboard to get yourself started. Be sure to check out the OpenVAS site and join their mailing list. Thank you for reading this how-to! Be sure to check back for more updates, and to learn more about our cloud hosting solutions, including HIPAA compliant disaster recovery services.